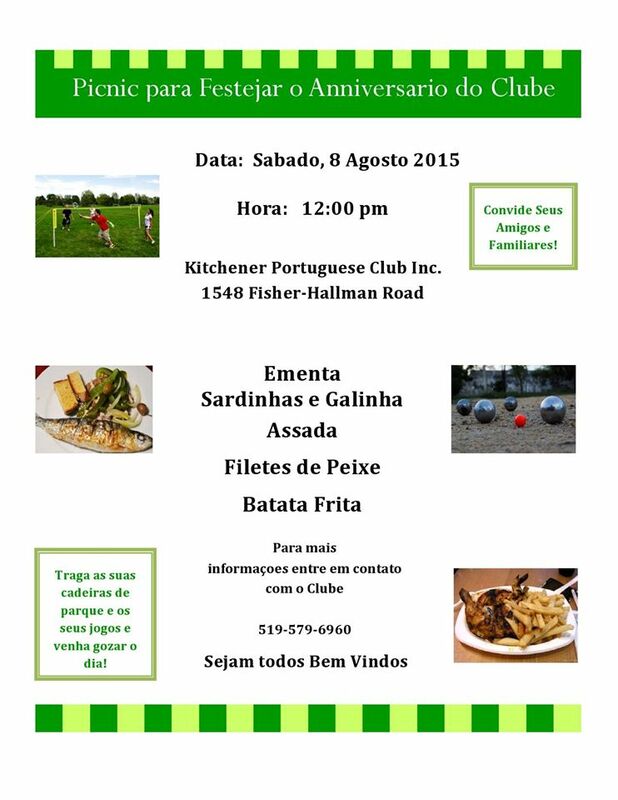 Anniversary | Kitchener Portuguese Club Inc.
Posted in: Past News and Events. Tagged: 12pm, 2016, 6th, Anniversary, August, Chicken, DJ, french, fries, KITCHENER PORTUGUESE CLUB, Picnic, Sardines, Saturday. Posted in: Past News and Events. Tagged: 2015, Anniversary, August 8th, Chicken, Filet of fish, french, Fried, fries, KITCHENER PORTUGUESE CLUB, Picnic, Sardines, Saturday.